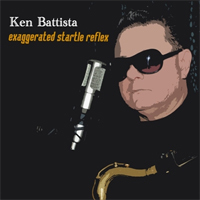 Ken Battista Band - Albums - CDs, Bio Info, Tour Dates, Lyrics and More! People are always asking us to record a CD of the material we play every weekend, well here it is! This is our first CD of songs by some of the greatest artists and composers of all time. 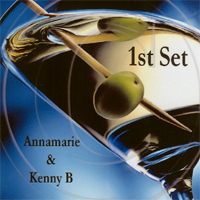 The "1st Set" features Annamarie and Ken performing many of the classics that they perform live. This CD consists of songs you might hear during the first set of the evening (hence the title), cocktail/dinner music. 1) At Last 2) I Fall To Pieces 3) I'll Be Seeing You 4) Don't Know Why 5) Unforgettable 6) If You Got Leaving On Your Mind 7) End Of The World 8) From This Moment 9) Sunday Kind Of Love 10) Crazy 11) Trust In Me 12) Sweet Dreams. 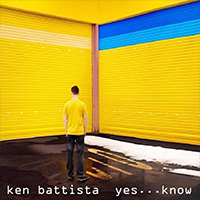 The fourth CD of original music from the Philly based Ken Battista Band is by far their most adventurous, energetic and edgy album to date. GGW is a much closer representation to the KBB live performance than previous releases. All four band members are featured vocally. Guitarist, Juan Kamuca gets things rolling right out of the chute singing the driving, in your face, horn laced title track, “Girl Gone Wild”. KBB Diva, Anna Silvestera follows up with the soulful Amy Winehouse inspired “Safeword”. Ken sings the British Invasion flavored “Sleep On It” and the “Police-ish”, “If I Knew Then”. Drummer Dave Ross is featured on track 4 singing a blue-eyed soul rendition of Ken’s “Love and Learn”. 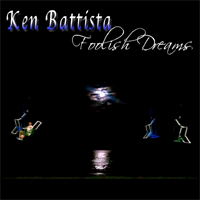 Battista’s salute to Santana is evident in the instrumental “Mi Faccia Vedere”, complete with jamming Latin percussion, Organ, Horns, screaming Guitar, and slapping Bass. Old school Fusion at it’s best. Plenty more highlights on this new CD include a remix of “Red Carpet” (from the “Forget To Remember” CD), “Everything” a soulful ballad featuring Anna and the pure funk and horns of “Feed The Need”. Ms. Silvestera's new CD features 10 original songs written for her by co-producer and band mate Ken Battista. Anna's powerful and heartfelt vocals have many compairing her to "a young Mariah Carey." 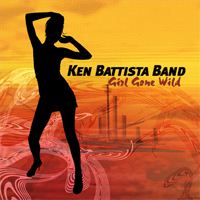 Anna is backed up by The Ken Battista Band. Thanks also goes out to good friends Chico Huff and Tony Vattimo for their musical contributions to this project. Soulful vocal, great range, dynamics with a classic R&B feel. Ultimately, this really sounds classic & timeless. Vocals are the highlight here, evokes a young Mariah. Anna has the ability to cross over into different genres a la Mariah, Adult Contemporary,	R&B, Pop, Jazz, etc. Forget To Remember is a terrific song and an excellent presentation. I feel this is one of the stronger, better-crafted songs that have come down the pike here in a long while. Not only is the song excellent, so is the vocal performance, the arrangement, production and recording. 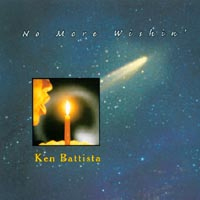 Battista's debut CD "No More Wishin," is full of silky vocal harmonies, great melodies, smooth sax, all mixed into a superior production. Buy your copy today. 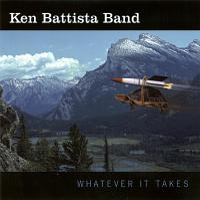 "Whatever It Takes" features eleven original songs including "Centralia". A song that NATIONAL GEOGRAPHIC filmed Ken performing on location for a documentary about mine fires. Battista's haunting ballad appears on many Centralia websites in addition to The United Mine Rescue Association website.